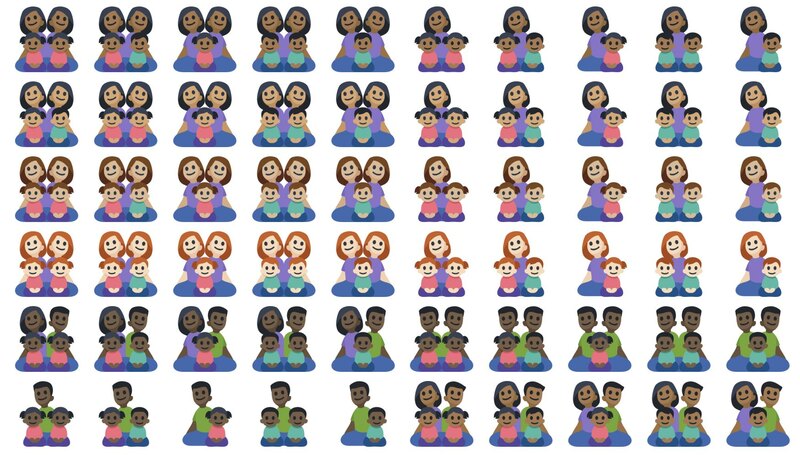 Families with with skin tones from light to dark now have their own emojis on Facebook. 125 new emojis have been added to Facebook which allow black families to be represented in emoji form for the first time on the platform. Above: These emojis weren't previously possible on Facebook. Notably, previous releases also didn't allow white families, but the default-yellow skin tone is much closer to light skin tones than dark. As such, demand that black families be represented in emoji has consistently been more frequent than for white families. Above: 125 new family emojis are now supported on Facebook. Microsoft added support for 52,000 family combinations in Windows 10 last year. Facebook supports a subset of these families: namely, the ones that all share a skin tone. Extended family sequences are not listed as RGI by Unicode, but they are valid emojis. This means that vendors are free to implement them, but users should be aware that they might not see consistent results cross-platform. 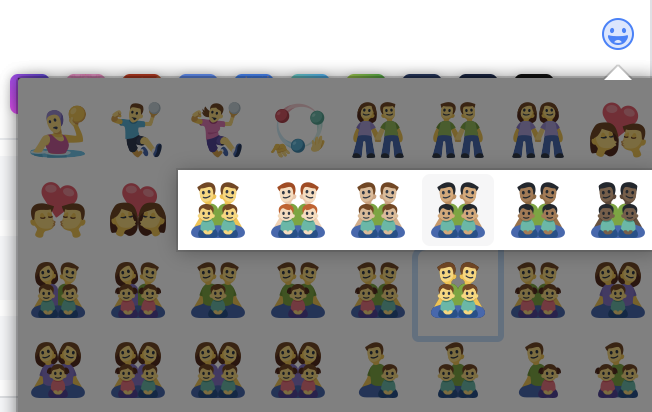 Above: This family loads as a single emoji on Facebook and Windows, but shows as the sequence on other platforms. This update is now available worldwide for all users and works within the Facebook website and Facebook mobile web interfaces. Facebook apps for iOS and Android use native emojis, and users will see the fallback behavior where each family member is shown separately on these platforms. Above: Facebook's website supports these new emojis, but not the apps. Facebook Messenger uses a different emoji set to the main Facebook product, and as such also does not support these emojis.